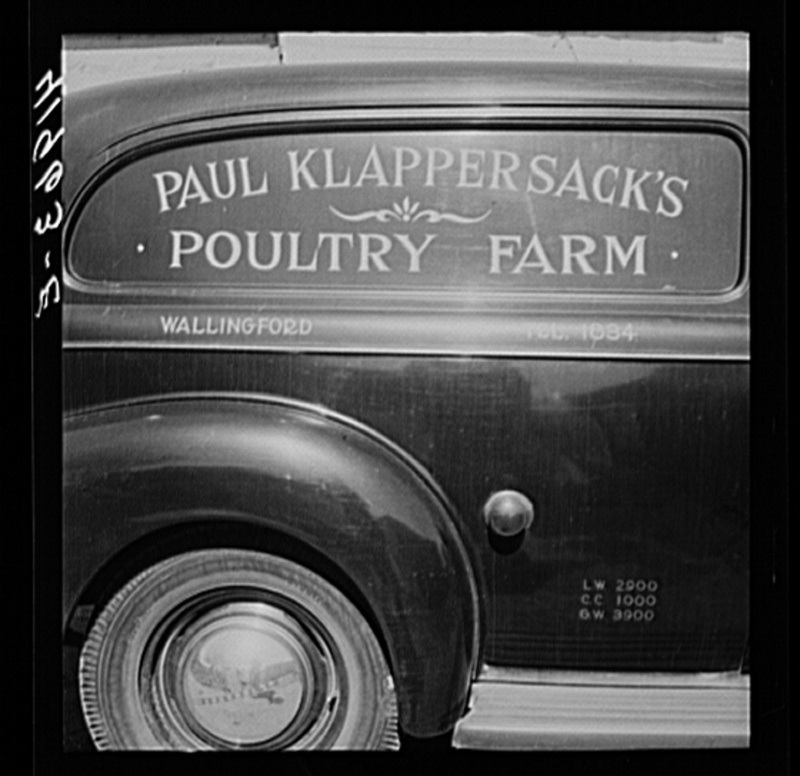 "Mr. Paul Klappersack, Jewish poultry farmer, was able to buy his poultry truck with the aid of FSA (Farm Security Administration). Wallingford, Connecticut"
The photograph above was the first post ever made by "klappersacks" on Tumblr. As something he found on the Library of Congress website, it is the source of his best-known online name. On Flickr, it started as "craptoy" and then evolved to File Photo Digital Archive which was then shortened to the FPDA. The man behind these names was Daniel Wrona. It is with the most extreme sadness I must announce to the online retro/vintage/Americana community that Daniel was killed at age 61 in a tragic automobile accident on September 14th in Monee, Illinois north of his home in Manteno. A Ford van crossed over the center divider into the lane where Daniel was driving his Toyota and was hit head on. Daniel leaves behind not only all of us that appreciated his online hobby but also a wife, son, sister, many more close family members, and, as his obituary put it, "furry friend Teddy." During the first few years I was on Tumblr and developed into the retro/vintage/Americana poster I am now known for being, there was quite a bit of frustration on my part as well as a small group of people I had come to know there. For whatever reason, Tumblr chose to continue to promote an account that was posting our material but not giving us credit for it. This account became and remains extremely popular while we continued to mostly be ignored. For me, that time in the shadows ended when "klappersacks" discovered my account and started to Reblog some of my posts. As Daniel was somebody else that had somehow gained Tumblr’s favor, in the span of just a few weeks, the attention I received and the followers I gained went to heights I had never imagined due to him sharing my posts. I thanked him multiple times for this publicly and privately yet he would never take credit for it. As the controversy continued over that one "thieving" account, Daniel was always the voice of calm and reason behind the scenes. When it finally boiled over into public view on both Tumblr and Twitter, he was the person that convinced me it was a quixotic quest not only because of the nature of the internet but, more importantly, that it was not worth the spiritual toll. When I got so angry with Tumblr over its policy changes that I left and brought all my vintage posting to KoHoSo.us, Daniel continued to support me. We still talked quite often in the comments section of his Flickr account. He was always glad to see the many times I featured one of his scans here. 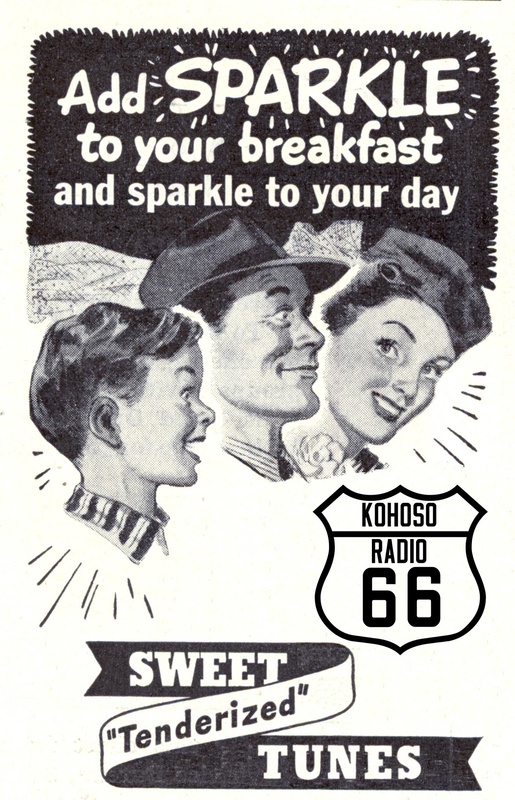 It should also be noted that Daniel was one of the biggest supporters of KoHoSo Radio 66. Without me asking, he made many posts on his Tumblr and Flickr accounts plugging the station and spent his time converting old magazine advertisements into promotional items such as this one. All of this came from somebody I never met in person and, now, never will…and all because of a reckless driver. If there is one good thing that can possibly come out of this tragic news, it’s that Daniel’s love of the vintage and the occasionally weird will remain online for many years to come so others can discover and enjoy it. Whether familiar with his work or just now finding out abut his importance to the retro/vintage/Americana community, I hope folks will visit his Flickr and Tumblr accounts I linked to above and give a little inner thanks for a man who not only took his personal time to share his hobby with all of us but always did so with the utmost kindness for his fellow human beings…something we all need a refresher on as we move through this terrible year of 2016 and the uncertainty that lies beyond. Posted in Internet, Retro/VintageTagged obituaryBookmark the permalink. This article was so well written and a wonderful tribute to an amazing man. If possible I would very much appreciate if the the writer would contact me. Nancy, I sent you an email late last night to the address you provided when leaving your comment. If you do not see it, be sure to check your spam/junk folder in case your ISP thought my address was suspicious. If you still do not see my email, let me know here and I will try using one of my alternate accounts. I am very much looking forward to hearing from you.